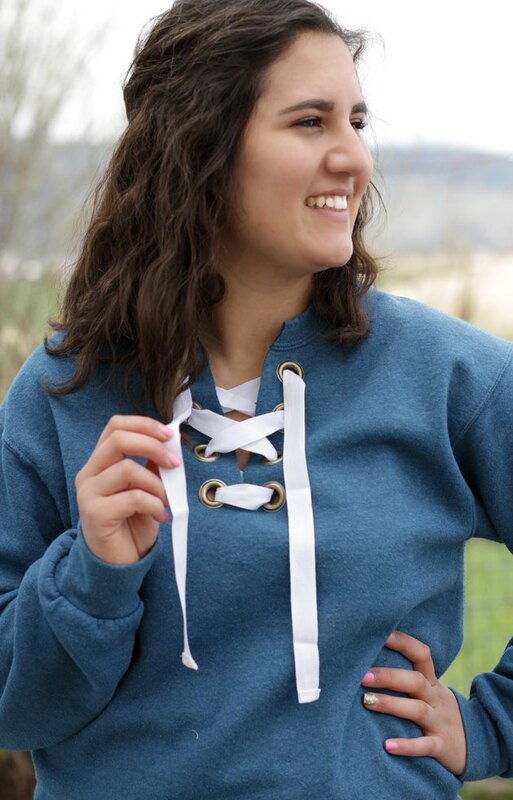 There's nothing quite like spending a relaxing day wrapped up in your favorite sweatshirt, reading a good book and slowly sipping on a cup of tea. 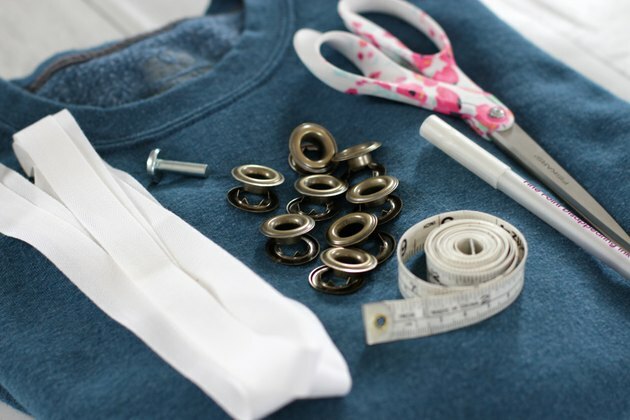 You can bring that cozy feeling into your everyday life by just making a small change to your beloved pullover. 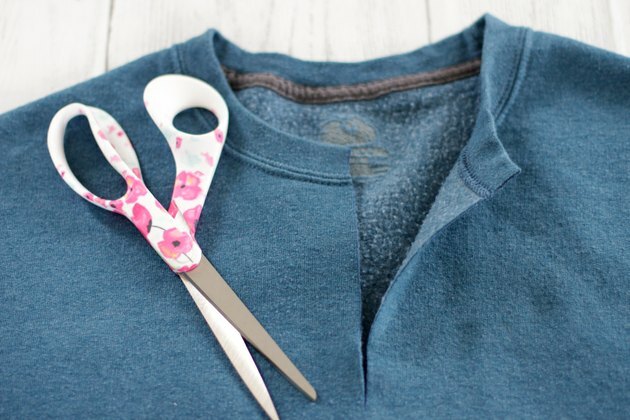 Grab a pair of scissors, a hammer, a few eyelets and some laces to transform your plain sweatshirt into something more chic and stylish to wear out and about, yet still be comfortable and warm. 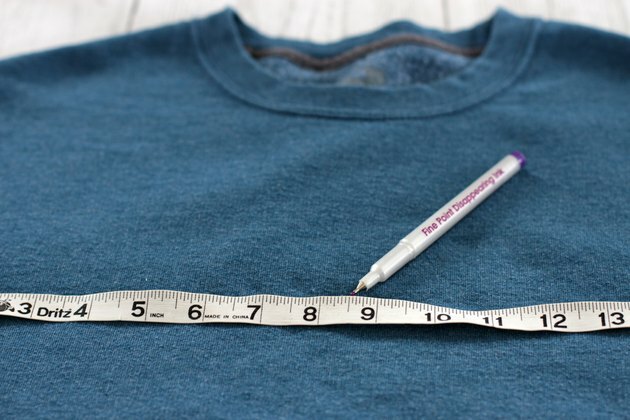 Try on your sweatshirt and determine how far down you'd like your center cut to go. 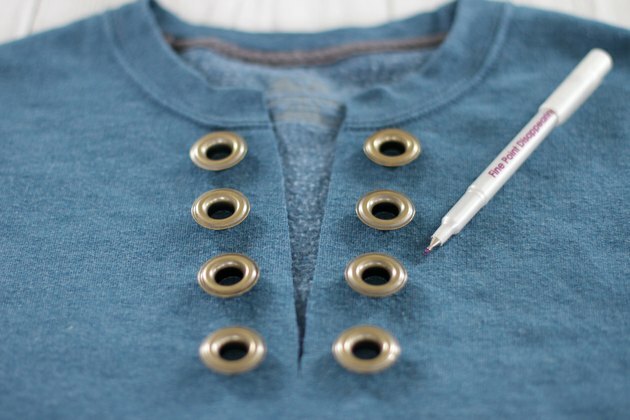 Draw a cutting line with a washable marker. 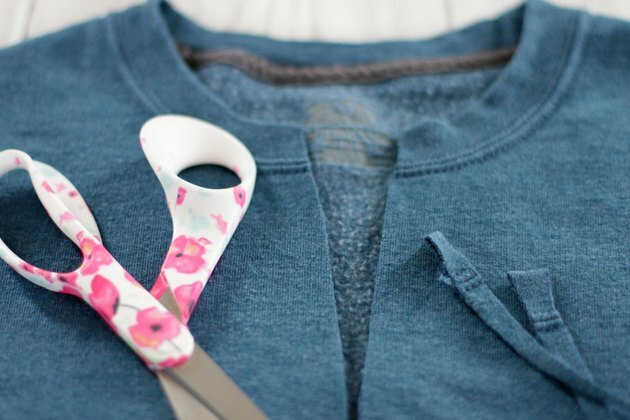 Cut along the line with a sharp pair of scissors. Cut off a 1/2 inch V from each side of the cut. 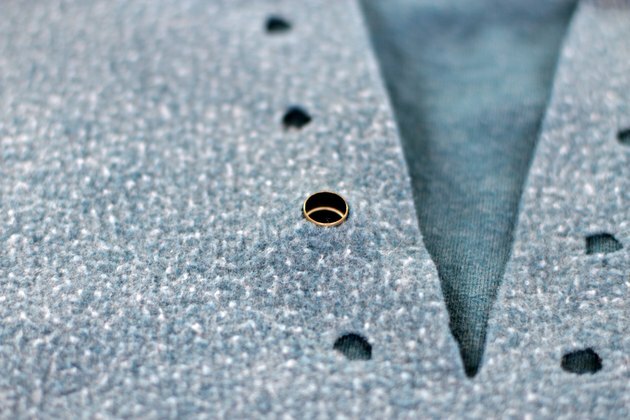 Place the top eyelet pieces on either side of the cut to determine an even placement. 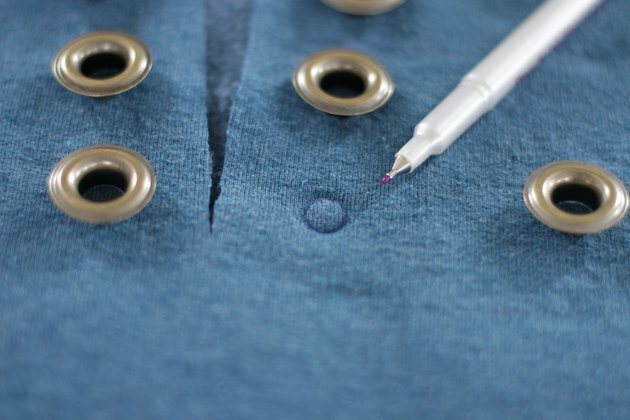 Trace around the inside of each eyelet with a washable marker. 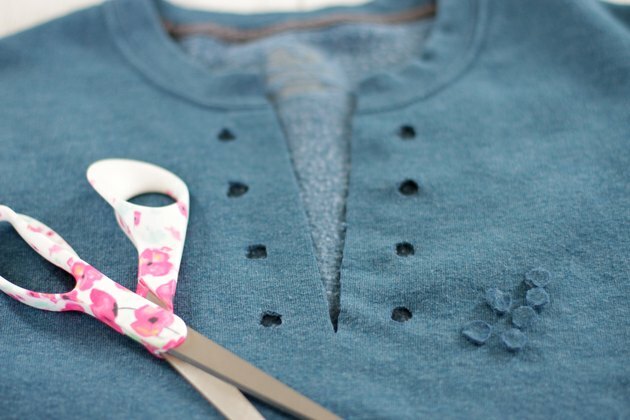 Use a sharp pair of scissors to cut around the traced circles. 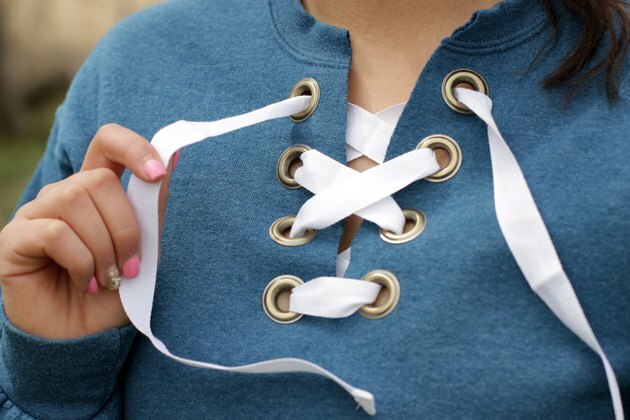 Turn the sweatshirt inside out. 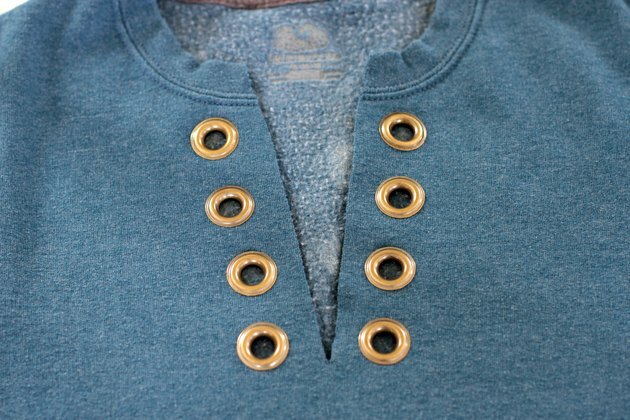 Place your sweatshirt on a very hard surface. Position the anvil from the tool kit under one of the cut out circles. 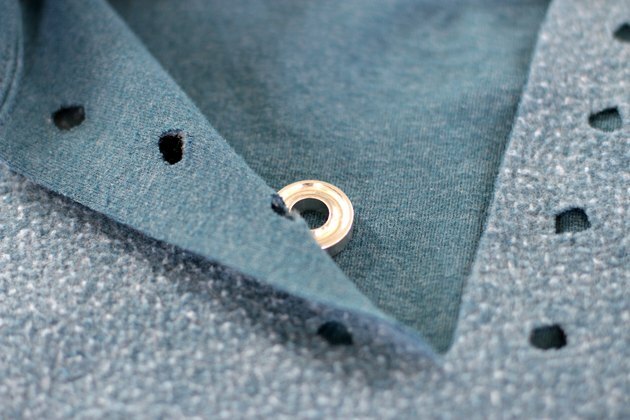 Place the eyelet on top of the anvil and insert the eyelet barrel in the hole from the right side to the wrong side of the sweatshirt. Place the washer over the barrel with the teeth side down. 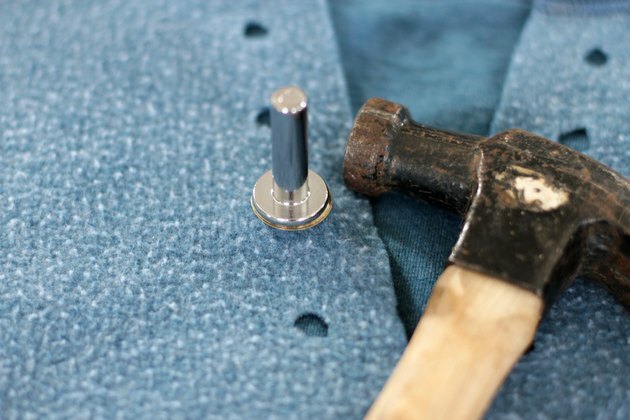 Position the stud end of the setter into the barrel of the eyelet and hammer forcefully. 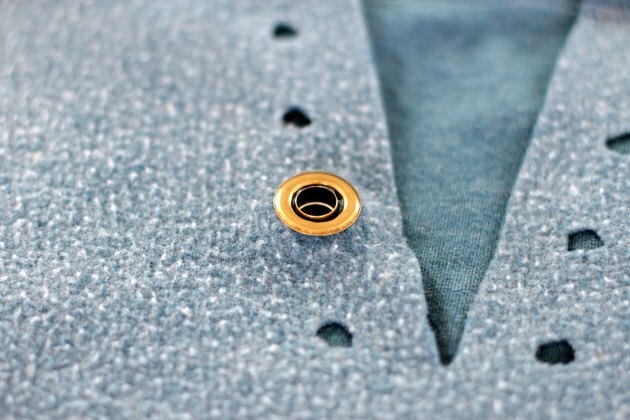 Repeat this for all of the eyelets. 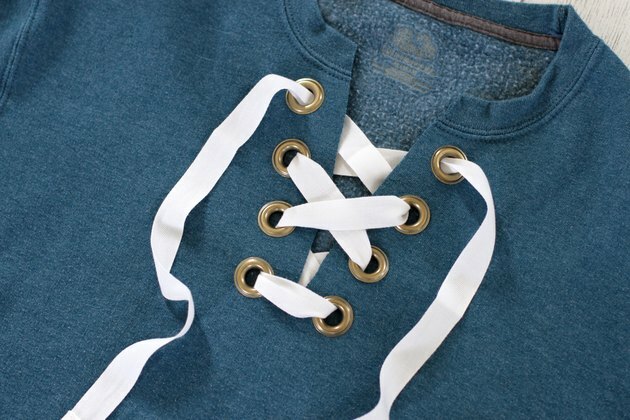 If you don't have any wide laces, you can make your own by cutting a piece of twill tape that is long enough to fit into your eyelets. 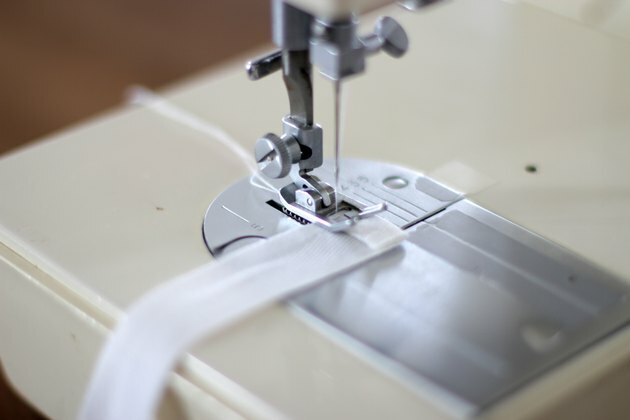 Hem both ends by folding over 1/4 inch twice, pressing with an iron then sewing across the fold. 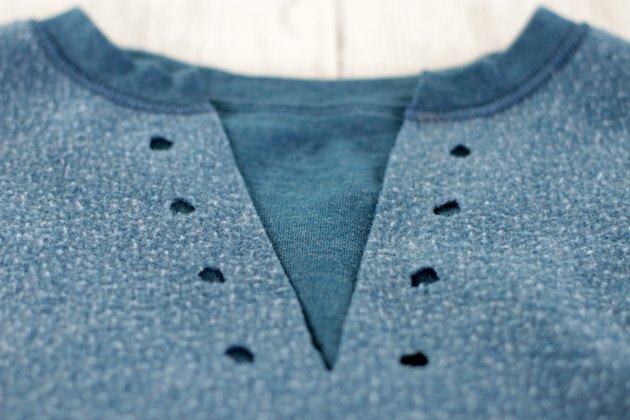 Lace through the eyelets and prepare to look great and be comfy all day long.